Last week’s New York Times Fixes column highlighted the enormous promise of PowerMyLearning, a framework and tool that connects teachers, families, and students. The approach marks a departure from run-of-the-mill family engagement strategies like infrequent parent-teacher conferences or once yearly back-to-school nights. Instead, as the article outlines, PowerMyLearning deliberately integrates efforts to engage families with efforts to improve academics by regularly looping families into collaborative homework activities and opening online, data-driven communication channels between teachers and families. The model strikes a chord with a reality that I frequently find personalized learning enthusiasts fail to mention: to yield more equitable outcomes, personalized learning will also require personalized supports and connections. This bucks a seemingly tidy vision of personalized learning as an overhaul of academics alone. Or worse yet, as a silver bullet in the form of highly customized learning pathways determined through big data and adaptive software. Technology certainly holds phenomenal potential to differentiate instruction with levels of precision and scale that a single teacher with many students may struggle to manage. But some notions of that precision can take on an antiseptic quality that assumes a series of 0’s and 1’s amounts to truly knowing students and their families. Moreover, a vision of personalized learning as merely a diligent reworking of academic models is woefully narrow. It risks assuming that all we need is better instruction to drive better outcomes—despite plentiful evidence that nonacademic variables shape learning outcomes as well. 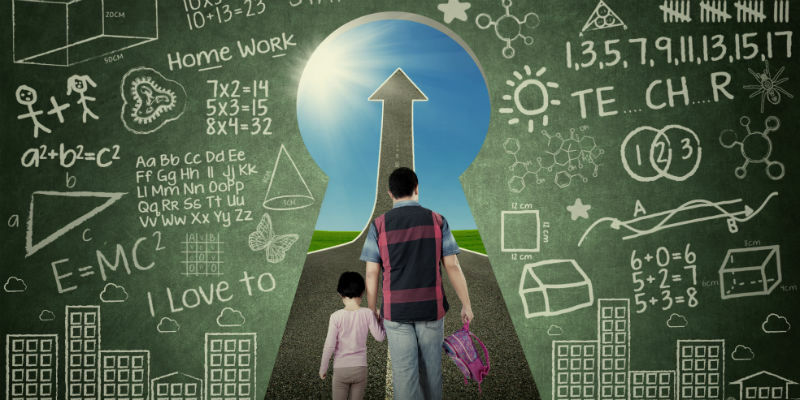 Particularly in high poverty schools, schools need to have a handle on students’ and families’ circumstances in order to systematically address barriers to learning that might arise. And the better a school system can actually know a student and his family, the better-equipped teachers will be to tailor academic supports in even more “personalized” ways. Where might schools hoping to tackle personalized supports start? Today, a variety of models that aim to bring more than just academics to bear in schools are often dubbed “Integrated Student Supports.” For those interested, a 2017 Child Trends report provides a comprehensive overview of approaches and outcomes in the field to date. Based on our own research, such integrated models have innovation theory in their favor. As Michael Horn and I wrote in The Educator’s Dilemma, schools struggling to boost achievement likely need to integrate across academic and nonacademic services as far as possible to remain at the frontier of innovations to improve learning. Of course, not all integrated approaches are created equal. While schools may take pains to increase health services or to invite parents to be more involved in school, many such efforts fall short of linking back into what’s happening in the classroom. For example, schools could expand access to healthcare but fail to coordinate schedules and interventions with teachers trying to squeeze the most out of instructional time. Or parents could attend events at school, but miss the chance to understand the particular academic areas where their children may be getting stuck. These mark a crucial–and potentially missing–link in true integration. Without that link, there’s little reason to assume that increasing access to supports, services, or parent engagement—despite producing other non trivial benefits—would significantly drive academic outcomes. Some of these tools are coming from service providers, like PowerMyLearning’s Connect platform and City Connects’ own proprietary Student Support Information System tool. Others are homegrown by schools dedicated to integrating more holistic supports. For example, the Boston Day and Evening Academy, an alternative high school in Roxbury Mass. has built a platform on Salesforce called Connects that merges students’ academic, family, and social-emotional data in one place that educators can track longitudinally and intervene accordingly. Based on the needs that may arise in students’ lives, the platform then automates outreach to both in- and out-of-school resources. Schools hoping to personalize learning should take note. As the rush to personalize academics continues, schools may see the greatest gains if academic approaches are developed in tight integration with critical non-academic supports.